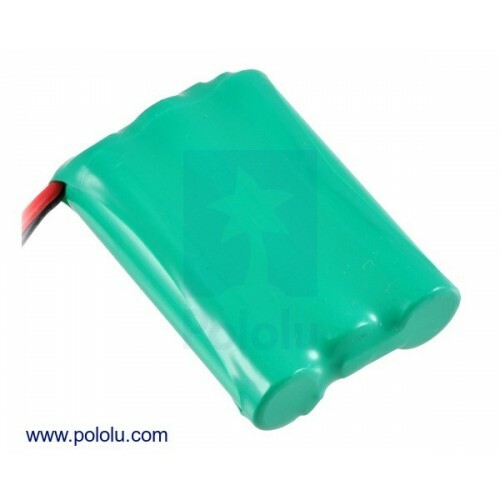 This battery pack comes with 4" leads terminated by a 3-pin Rj style male connector (only two of the pins are used). 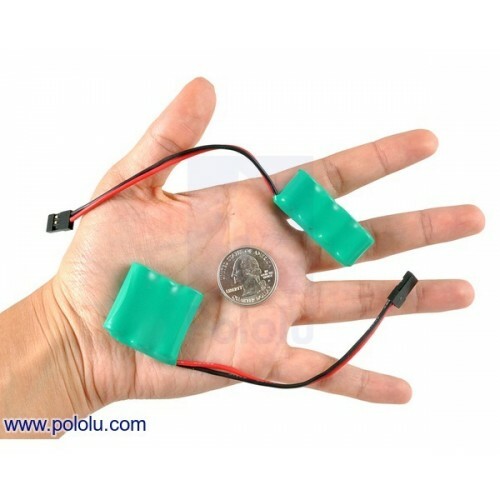 The connector is the same as what is found on the most servos and has a 0.1" spacing, so it fits nicely with 0.1 male headers and can plug directly into most RC receivers, servo extension cables, and servo switch harneses, and custom cables made with Jr male connectors. 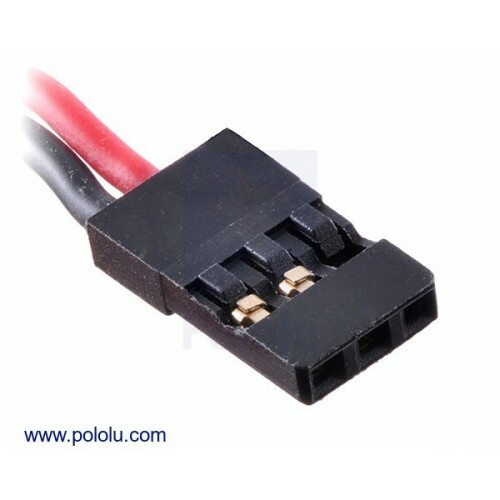 or Note, however, that this style of connector is often referred to as “male” in the RC hobby industry, so please use the picture on the right to clear up any potential confusion. The picture to the right shows the relative sizes of our NiMH battery packs. 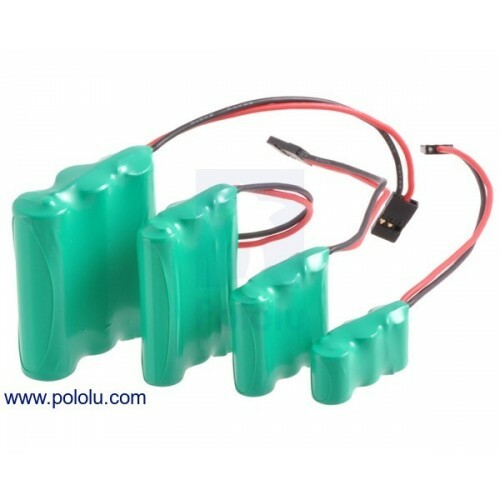 These packs are well-suited for powering small robots, and the smaller (1/3- or 2/3-AAA) battery packs make great power sources for miniature robots.